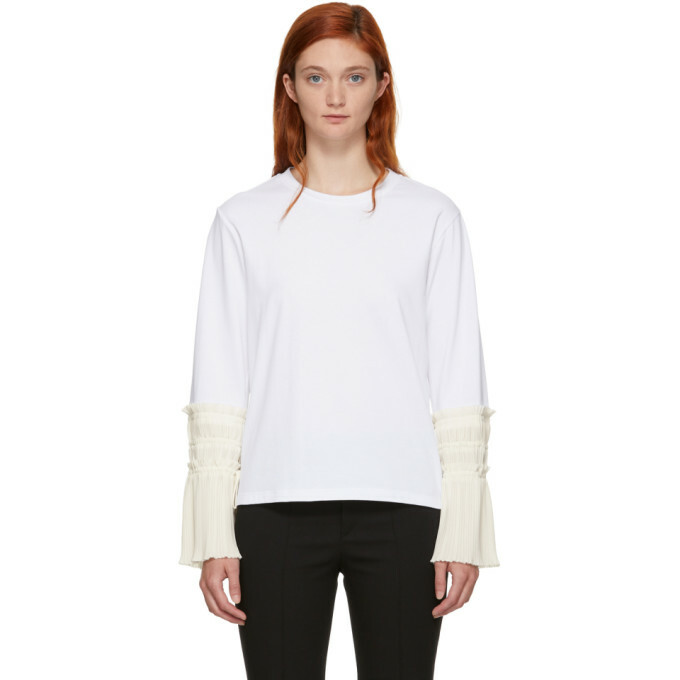 Long sleeve cotton jersey t shirt in white. Rib knit crewneck collar. Accordion pleated crepe panel in off white featuring ruffled trim and adjustable drawstring at cuffs. Tonal stitching.